These are the toughest basketball systems in the industry. Complete units are available for as little as $604.00, many with Lifetime warranties. There are virtually unlimited configurations, most available in 3-1/2” O.D., 4-1/2” O.D., 5-9/16” O.D. and 6-5/8” O.D. Schedule 40 galvanized steel pipe. 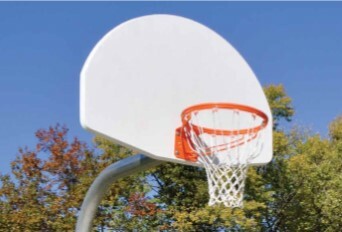 Backboards are available in Fiberglass, Aluminum, Heavy-Duty Steel, Solid Polyethylene, Galvanized Steel and Polycarbonate. Rims are available in Single, Double, Extra Heavy Duty and Breakaway with your choice of Super Nylon, Chain or Super Chain nets. Whether on the beach or on the court, our posts are ideal. These multi-purpose competition posts are manufactured from galvanized tube to last a lifetime. They are offered in post sizes from 2-7/8” through 5-9/16” O.D. with a wide variety of post fittings for proper net attachment, including fixed and adjustable eyes with rope clamps, pulleys and net tighteners. 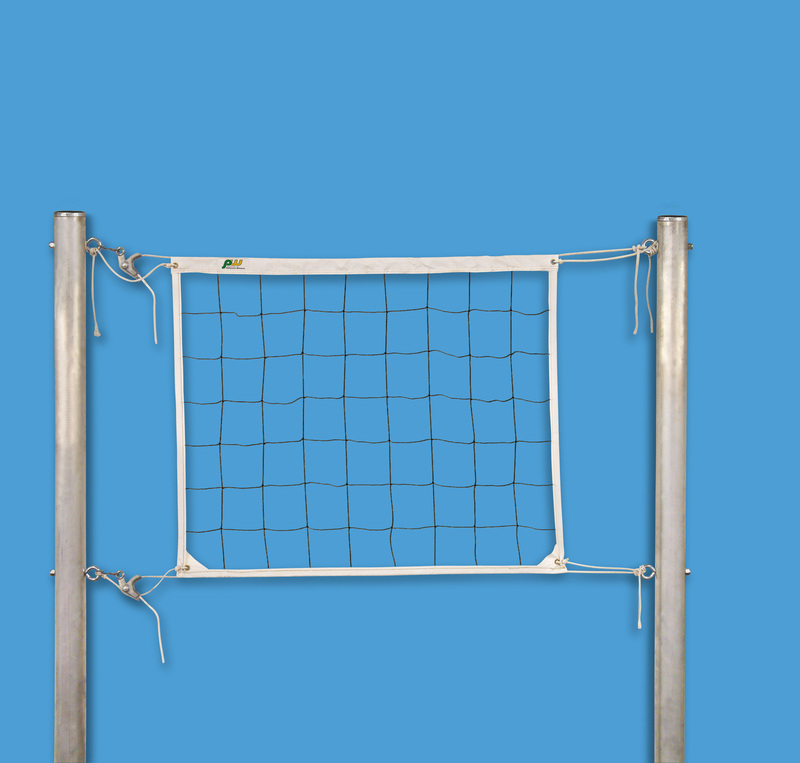 All models adapt to volleyball and provide for both top and bottom net cable or rope secured to posts at correct heights. 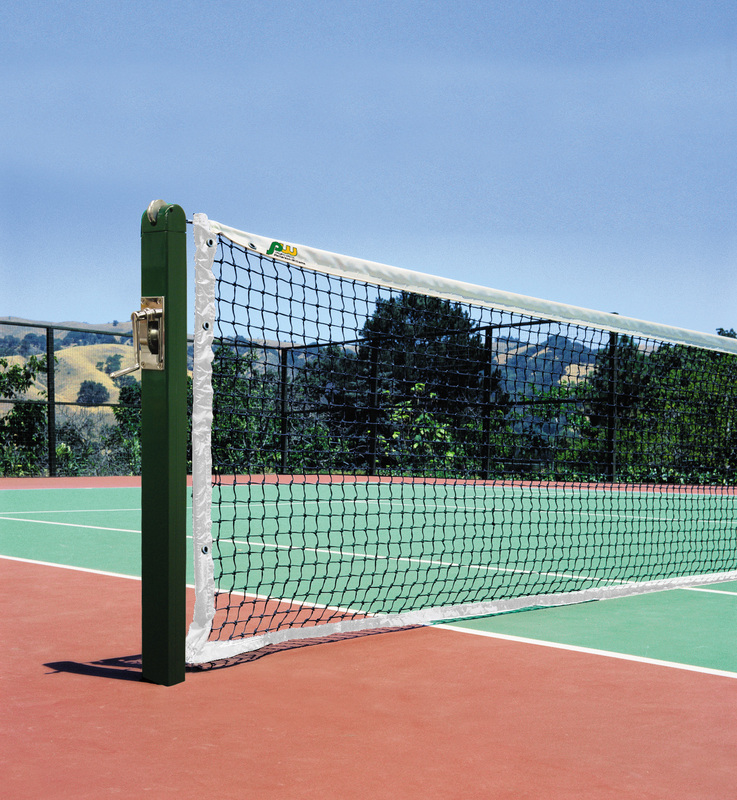 Also upon request, use of adjustable fittings, whether heavy-duty or standard duty, permits lowered net positions to adapt to tennis net height. For those who want the convenience of removable posts, ground sleeves are offered. Also available is a selection of volleyball and sand volleyball accessories. Tennis products that serve your purpose: whether it’s tough competition or a regiment of fitness, PW Athletic Mfg. Co. (Patterson-Williams) serves up the strongest game on the court. All round tennis posts are 3-1/2” O.D. and come with top caps to help seal out the elements. All posts are designed to permit 24” of depth for in-ground sleeves or permanent concrete footings. We also carry a complete line of tennis nets, fittings and hardware. PW Athletic Mfg. Co. (Patterson-Williams) offers more variety, more vandal resistance, and more value in soccer goals than any other manufacturer. We have them for the pros and for the youngest soccer player, and for all players in between. The lower cost models (Youth and Standard Duty NCAA) are available with uprights and crossbars only or with optional net-supports to give them a professional look. Special backstays for partial net-support are also offered. We have the goals to meet all of your soccer requirements. Our tetherball posts are manufactured of heavy-duty, galvanized steel for maximum strength and durability. Installed posts stand 10’ high and have welded caps. Each post is equipped with a 3/8” plated eyebolt, 30” plated chain and a swivel snap for ball attachment. Our tetherballs are regulation size and shape and are manufactured with nylon and a fully molded butyl bladder and nylon. PW Athletic Mfg. Co. (Patterson-Williams) offers rugged solutions for football goals. Our gooseneck-style goalposts are manufactured of heavy Schedule 40 galvanized steel and galvanized tube and come equipped with wind flags. They are available in a single or dual post gooseneck style, in optional yellow, or white powder coat to meet NFHSA rules. H-type goalposts for those on a smaller budget also come galvanized as standard or with yellow or white powder coat. 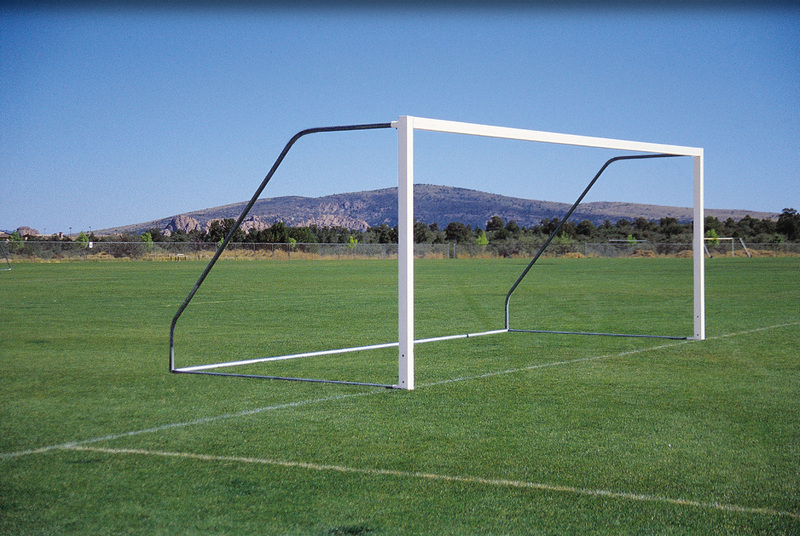 Our combination Football/Soccer Goals provide the perfect solution for multi-purpose field use. This unit is manufactured of 2-7/8” O.D., 2-3/8” O.D. and 1-7/8” O.D. galvanized steel. The truss crossbar provides 8-foot height for soccer and 10-foot height for high school football. Goals can be installed in concrete footings or in optional ground sleeves. 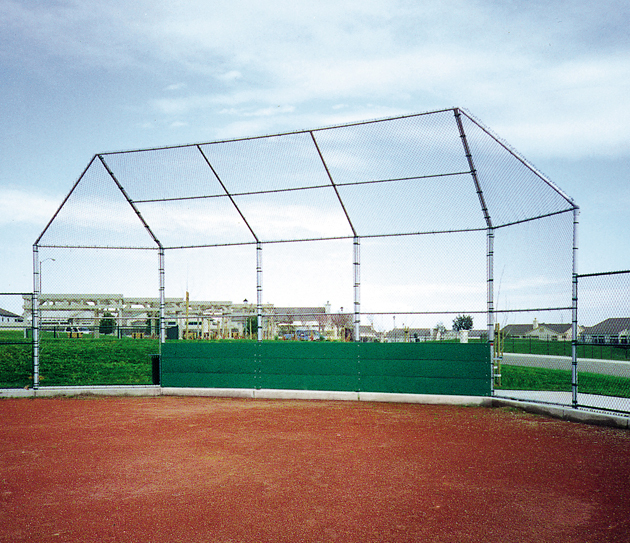 By far our most popular backstops, hundreds of Arch Backstops are installed across the nation. While other manufacturers continue to try to copy, none have the experience and know-how that we do. There are no others equal to ours in quality, workmanship, symmetry, structural integrity, and ease of installation. We have been building them for over 40 years. Only PW Athletic Mfg. Co. (Patterson-Williams) uses galvanized steel pipe. Originally designed in 1958 by landscape architect Richard Kamphefner, Park Superintendent for the City of Anaheim, California, manufacturing rights were granted to PW Athletic Mfg. Co. (Patterson-Williams) when the “layback” design proved so successful that quicker and more efficient production was required. Working to improve performance even further, PW Athletic Mfg. Co. (Patterson-Williams) designed the “perpendicular” style in 1968. 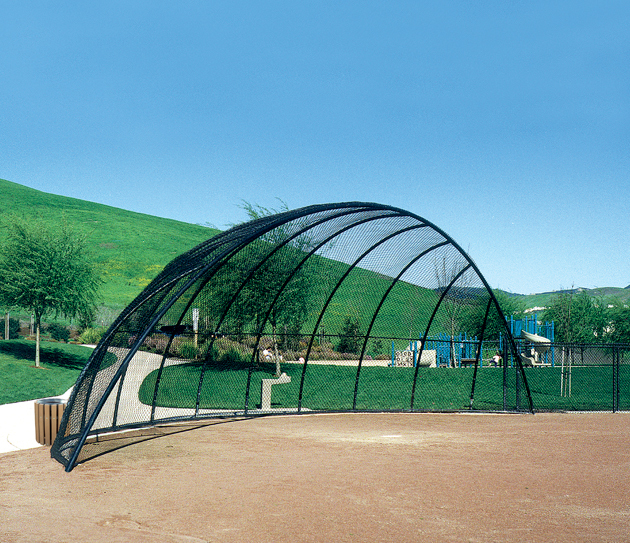 Arch backstops are economical. The durability and design, which discourages climbers, enables the equipment to continue to look good for many years. They are assembled and erected with no field welding required. PW Athletic Mfg. Co. (Patterson-Williams) uses galvanized tube, the strongest, most durable material available designed for the recreational industry. For 87 years, the name PW Athletic Mfg. Co. (Patterson-Williams) has been synonymous with products made of the strongest, most durable materials available for the intended use. Galvanized steel is strong enough to provide a substantial safety margin for the use and abuse to which it’s subjected. It has a higher tensile strength as compared with many other types of pipe or tubing used for play and athletic equipment. PW Athletic Mfg. Co. (Patterson-Williams) bleachers offer the perfect combination of structural integrity and maintenance-free use for your sideline spectator seating requirements. 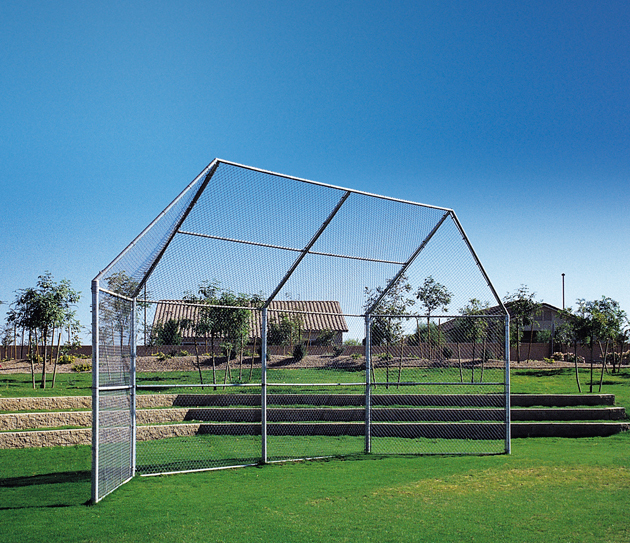 Our 5-row system comes with a rail system of tube and 11-gauge mesh. As construction and building codes vary from state to state, we recommend verifying your local code requirements. 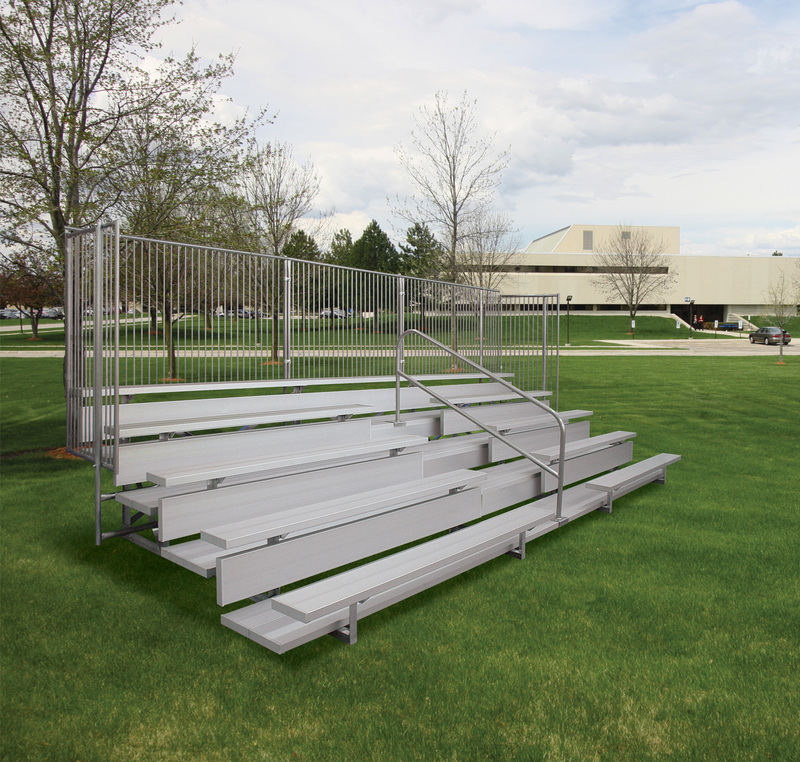 Our aluminum bleachers are long lasting, low maintenance and are available in 3, 4 and 5 row versions in a variety of lengths. 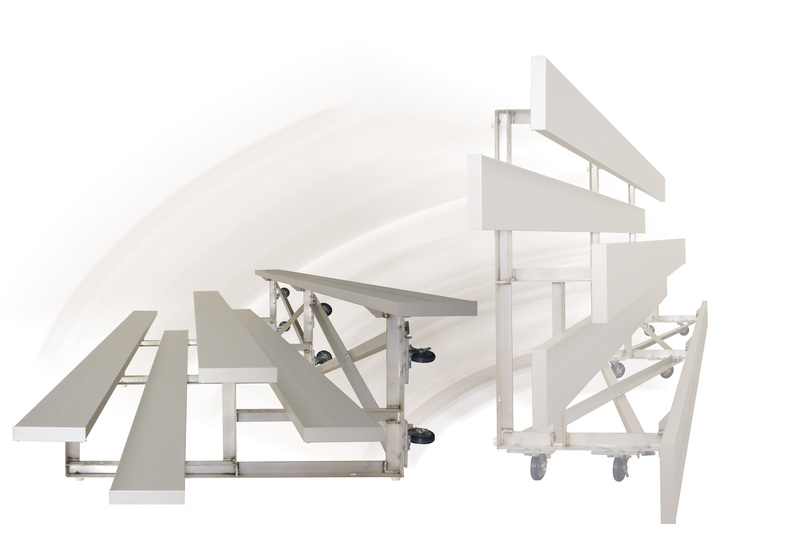 The Tip N’ Roll bleacher is excellent for indoor auxiliary seating requirements. This lightweight aluminum unit easily tips up on its casters for ease of moving to storage. High-grade swivel casters and plastic footpads will not mar your floors.